Sony Xperia Z4, the all-in-one gadget finally launched in Japan on 20th April 2015 without confirming it’s pricing. 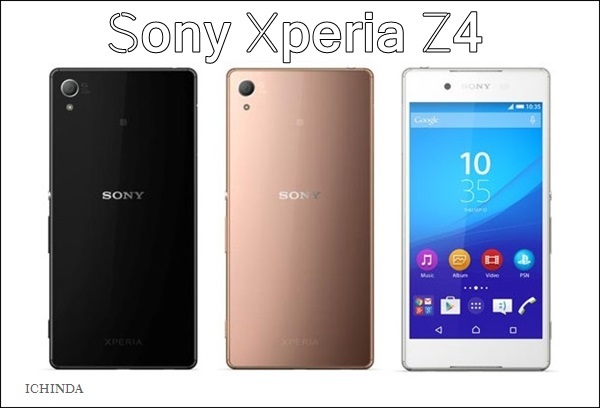 Sony Xperia Z4 featuring 20.7-MP camera, 64 Bit-Octa-core Qualcomm Snapdragon 801 processor, PS4 Remote Play will be available This Summer, Q2 2015 in White, Black, Copper, Aqua Green colour option priced Approx. $1000(Approx. 65,000 in India) . It will take on Apple iPhone 6, upcoming HTC One(M9), Samsung galaxy K Zoom and upcoming Microsoft Lumia 1030. The all new Sony Xperia Z4 is IPX5/IPX8 certified smartphone supports Dual-SIM(4G+3G) with Dual-Standby will supports 4G LTE, HSPA+, Wi-Fi and Wi-Fi, DLNA, GPS with A-GPS, Bluetooth v4.0, NFC, FM radio with RDS will offer you a bigger 5.2-inch Full HD display with resolution (1080×1920 pixels) and X-Reality for mobile picture engine promising superior wide angle HD view perfect for playing games, watching movies with your family friends. Sony Xperia Z4 runs on most advance Android 5.0 Lollipop OS which allow you enjoy millions of apps through Google play and a powerful 64-bit Octa-core (quad-core 1.5GHz + quad-core 2GHz) Qualcomm Snapdragon 810 SoC with Adreno 430 GPU with 3GB RAM makes your multi-tasking faster and smarter than it’s rivals while 32GB in-built memory with expandable 128GB external memory is store house for your favourite music, movies and games. To revolutionize your photography, Sony Xperia Z4 offers you a huge 20.7-MegaPixle Rear camera with 4K (Ultra-HD) video recording, The large 1/2.3” Exmor RS™ for mobile image sensor, pulsed LED flash, 8x digital zoom with a new curved rear camera sensor which allows you take perfect picture in any condition while a 5.1-MegaPixle front-facing camera allows you click your selifes and making video call. Sony Xperia Z4 is powered by a powerful 2930mAh battery with battery stamina mode which never let you weather you are playing games, watching movies or browsing your favourite website measures 146x72x6.9mm weight just 144gm. Great thing about new Sony Xperia Z4, comes with a impressive IP65/68 certification waterproof and dust-resistant protection technology. Sony Xperia Z4 is also a PlayStation® Certified smartphone comes with a PS4™ Remote Play feature and a built-in Digital Noise Cancelling technology takes your gaming to to next label. Sony Xperia Z4 Rivals Apple iPhone 6 Plus, HTC One(M9), Samsung galaxy K Zoom, Microsoft Lumia 1030. At last few honest word, all new Sony Xperia Z4 is best smartphone for photography. What you think? Please be open to give your view.